CTEK #56-865 US 0.8 12 Volt Fully Automatic 6 Step Battery Charger - Battery Outlet Inc. US 0.8 (Part No. 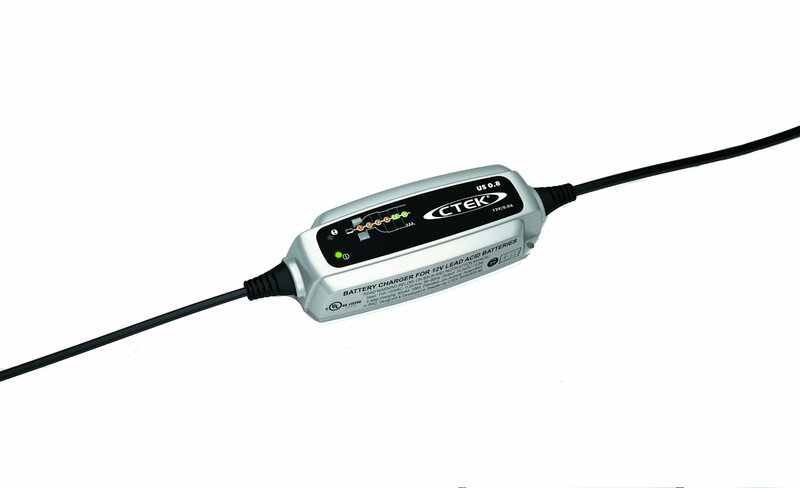 56-865) is CTEK’s smallest 12 V charger. It offers state of the art technology and is perfect for charging smaller 12 V batteries that can be found in motorcycles, jet skis, ATVs and lawnmowers. It is also suitable for maintenance charging “normal- sized” batteries such as car batteries.